For decades, the Defense Department has put money and manpower behind getting directed energy — or laser — weapons in the hands of soldiers. And now, Army soldiers are using one of the first practical laser weapons in Europe, a civilian director of the Army’s Space and Missile Defense Command Future Warfare Center said Wednesday. Richard DeFatta told an audience of more than 100 at the Association of the U.S. Army’s one-day conference on air and missile defense that while researchers are working on a powerful 100-kilowatt laser, smaller, more scientifically manageable projects have already been fielded. The Army is going to assess the feasibility of putting a 50-kilowatt laser on its future short-range air defense system in relatively quick order. 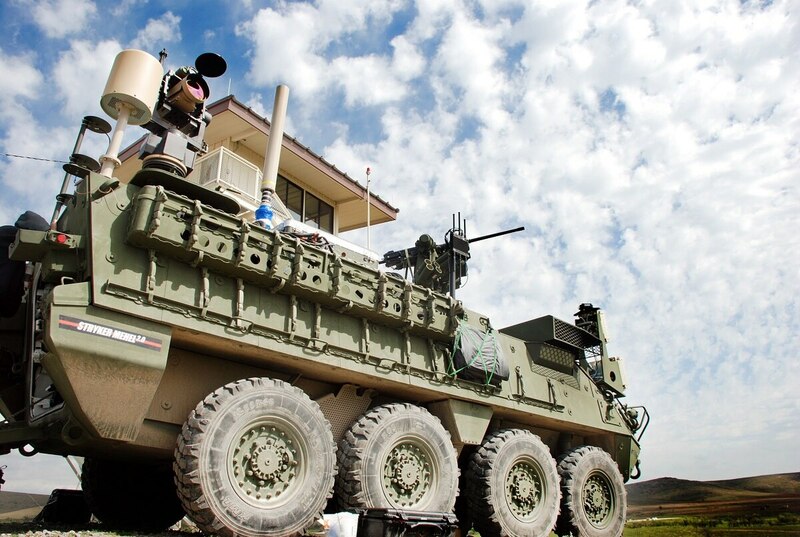 The 5kW laser project, part of the Mobile Experimental High Energy Laser, has reached soldiers in events such as the Maneuver Fires Integrated Experiment. The MFIX is the premiere exposition and testing for Army fires. The MEHEL is now participating in the Joint Warfighting Assessment 2018 in Europe, which will help the Army to assess emerging concepts and technologies, and interoperability, said Cecil A. Longino Jr., deputy director of the public affairs office for the Army Space and Missile Defense Command/Army Forces Strategic Command. Army Times first reported the testing at Fort Sill, Oklahoma, of the Stryker-mounted MEHEL when it knocked down 12 drone targets during the experiment. At the time, testers were scheduled to evaluate a 10kW laser for anti-drone work, said John Haithcock, director of the Fires Battle Lab. Updated information was not available. The previous laser tested at the 2016 MFIX was a 2kW version. Those types of incremental advances in lasers will feed into the more powerful, longer ranging anti-drone, anti-missile laser systems that have long been the Holy Grail of directed energy work.